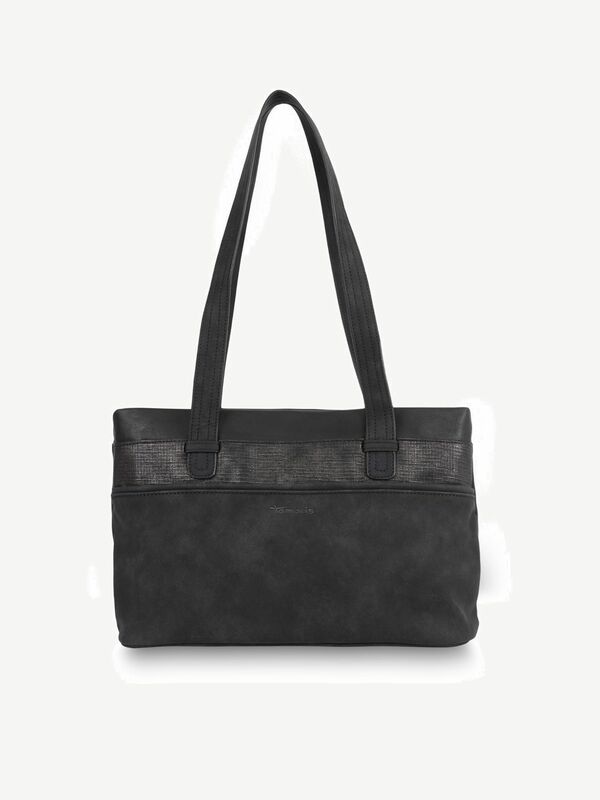 Khema 2363172-098-1: Buy Tamaris Handbags online! Subtle colouring, clear cut and a fashionable, but subtle pattern make out the classic look of this Tamaris shoulder bag. It also comes in a practical size, which provides enough space for your wallet and phone, in addition to smaller things you might need, like sunglasses or make up. This model is therefore a good choice for everyday life and is convincing with numerous wearing options. In addition, this bag can be combined skillfuly and makes with loose jeans, blazers and simple tops a good figure.